Will Etihad’s use of Twitter for Premium customer communications take off? Etihad’s Premium Twitter account is an exclusive account just for Etihad’s Gold customers. Is Twitter the right channel for reaching out to premium customers however? Excuse the pun in the title, but Etihad caught my eye this week with the news that it has set up a new Twitter account to communicate exclusively with Etihad Guest Gold members. The account, named @EtihadPremium, was launched at the beginning of May and Etihad Guest Gold members, Etihad customers who have flown 50,000 tier miles or 40 tier segments in one 12 month period, received emails on the new service. Below is the text of the email that Etihad sent out to its Etihad Guest Gold members over a month ago (courtesy of www.flyertalk.com). We’ve launched a Twitter Channel to better serve you! We value your loyalty and have created a new channel that delivers a range of benefits with you, our guest, in mind. Email us at socialmedia@etihad.ae with: a photocopy of your Etihad Guest Card, Date of Birth, Post Code, Twitter Handle. Please allow 24 hours for review and verification. Post-verification, our team will follow you on Twitter and send a confirmation email. The choice of Twitter has sparked some debate online. Hussein Dajani, a UAE-based social media commentator, listed on his LinkedIn profile some of the reasons why he thought Etihad’s use of Twitter didn’t make sense. 1- Etihad already has many existing Twitter accounts (Etihad Airways, Etihad Deals, Etihad Help, etc). Do people (Premium or not) really need one more account to follow? 2- Most of the “Premium” users are high profile people, how many of those are actually on Twitter or would use Twitter when having an inquiry or a complaint? 3- Will Etihad block a person if he / she no longer remains as a Premium customer? 4- How is Etihad being transparent and “fair” to all its customers when treating them differently? 5- Can’t Etihad identify who are its Premium customers from non Premium customers and get their Twitter handles? 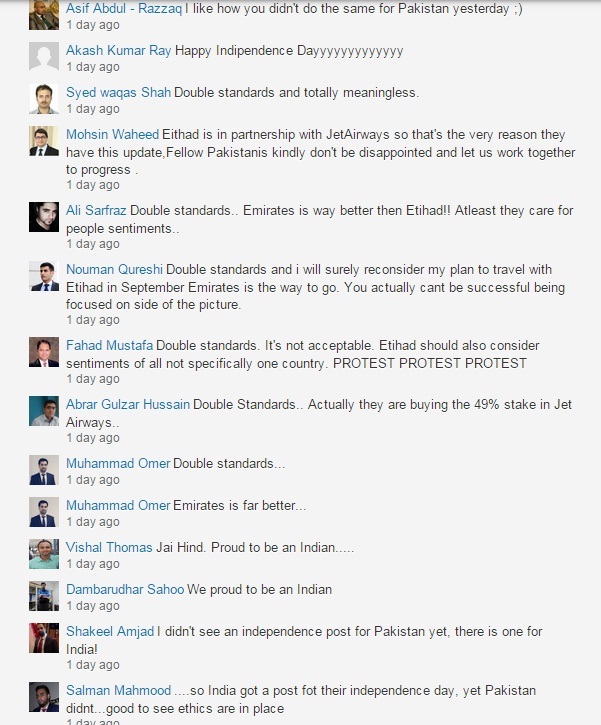 Etihad’s social media lead Asif Khan shared his opinion as well. According to Asif, the reasons why Etihad went with Twitter for this concept were the customers themselves. Etihad has public Twitter accounts and pretty tight SLAs for them – all users (Premium and non-Premium). This is an additional Twitter account for Premium members because there was massive demand – we have done proper research and tried to fulfill appetite – not just another channel launch. You’d be surprised to know how many Premium inquiries we receive. It’s just having a unique key number of managing first class and business class guests on a contact centre – different is its a Twitter account. Just to clarify, this is an additional channel for communication with our high-valued guests – not the ONLY channel. 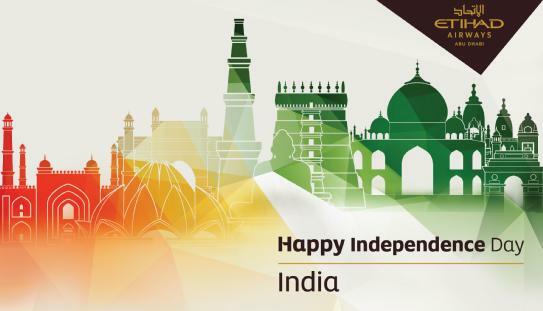 There are other traditional channels that are being used – dedicated contact centre number, email address, etc. etc. Not sure if I entirely agree with your one-many concept because end of the day we’re not broadcasting information on this channel (one-many) because the intent is to have meaningful personalised conversation with each premium customer with contextual information available to us. With premium customers, personalization is key. They want a one-to-one conversation, and they want the best possible support. Talking to a Facebook executive recently, she told me that Whatsapp was the sleeping giant of the Middle East’s digital sector. Back in March, Whatsapp was named the region’s most popular means of online communication by a survey commissioned by the Dubai Government. But let’s go further. Whatsapp is one-to-one communication, through which one can share images, video, and recorded audio messages (we can’t use Whatsapp Call in the UAE as it’s blocked on a national level). Whatsapp can also share the user’s location or a contact, and its secure. Unlike a Twitter handle, I can’t communicate with another Whatsapp user unless I know their mobile number – and, let’s face it, how many premium customers will be flying around the world without a mobile? The other concern I have is about Twitter and its security. What will Etihad do if the Twitter account is hacked? How can it safeguard the information of these premium customers? The response to Etihad’s initiative has been mixed on travel websites such as OneMileAtATime and FlyerTalk, with some premium passengers praising the move, others saying they don’t have a Twitter account, and some going so far as to say that Etihad needs to improve its overall customer service levels available through its existing social media accounts. I’d be fascinated to see how this works for Etihad. The initiative is bold, but with the choice of communications being Twitter will it work as Etihad hopes? 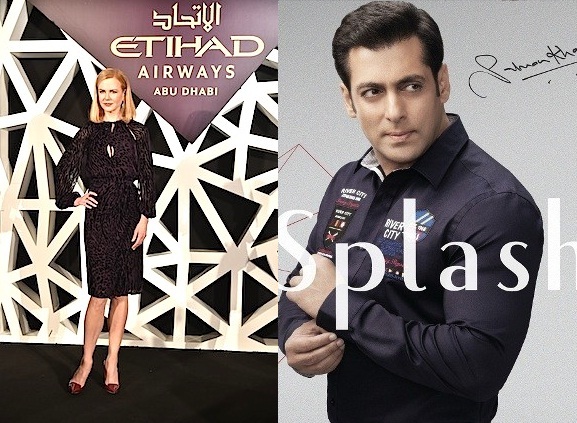 Have brand associations between Kidman and Etihad and Khan and Splash helped or hindered their respective brands? We just love celebrity endorsements. They’re useful for building brand equity, for improving ad recall, they convey celebrity status to the brand, and help brands stand out from the pack. When done right, celebrity engagements work wonders for the brand. Think Michael Jordan and Nike or Beyonce and Pepsi. And then there’s what we do in the Middle East, specifically the Gulf. I’ve had a number of views come my way, particularly in relation to two deals which were done recently. The first is for the Abu Dhabi-based airline Etihad. In March Etihad signed up Hollywood actress Nicole Kidman to front up its latest advertising push which focused on Etihad’s redefinition of luxury travel. You can see the video below. A global name, Kidman is Etihad’s fourth brand ambassador from Australia (can you name the other three, or the airline’s one Frenchman and German sports stars?). The discussion comes in around Etihad’s customer groups and how much the airline’s brand ambassadors actually resonate with these groups. Despite being Abu Dhabi-based and owned by the UAE’s capital, Etihad doesn’t have a single Arabic-speaking or Arab national as a brand ambassador. It’s hard to know how much Kidman would resonate with audiences in the Gulf, but Etihad hasn’t done much to find and leverage off brand ambassadors who’d appeal to Arabs in and around the Gulf (particularly those who are likely to travel in first class). For Kidman, the association with Etihad has brought its own risks. Just a couple of weeks after the deal with Etihad, Kidman was criticized by a flight attendants’ union, the Association of Professional Flight Attendants, following her appearance in an advert for an airline it claims treats female employees “deplorably” and operates using “discriminatory labour practices”. While there’s always a risk of being targeted, and criticized, by a specific interest group as in the case of Kidman, there’s even more risk to a brand’s equity when a celebrity misbehaves (think Tiger Woods and affairs with adult film stars) or does something which consumers may consider to be unethical. One such example is Bollywood filmstar Salman Khan. Khan, who is an A-list film star in India, is the face of Dubai-based clothing retailer Splash. However, over the past week Khan was found guilty of committing manslaughter in a hit-and-run accident back in 2002 (Khan was allegedly drunk and lost control of his car, which slammed into a group of homeless people sleeping on a pavement). 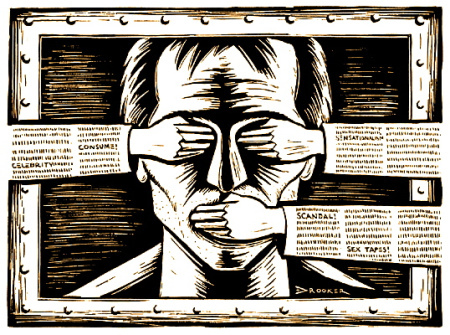 The editor of Arabian Business, Anil Bhoyrul, penned a strongly-worded opinion piece on the issue only this week. 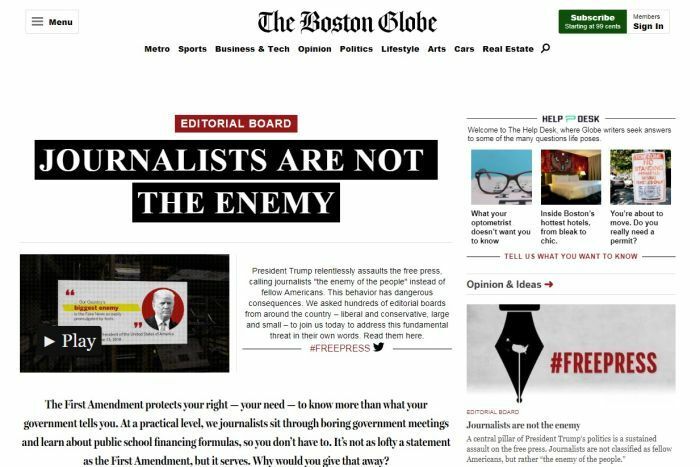 The piece has gone on to become one of the most commented-on pieces in the history of the online news portal. On a roll, Arabian Business published a piece about a public backlash against Splash for their support of Khan. You can read excerpts below. Bollywood star Salman Khan, who is a brand ambassador for Splash, was sentenced to five years in jail after being found guilty of killing a homeless man while driving under the influence of alcohol. He is currently on bail pending an appeal. Khan was appointed as a brand ambassador for Splash in 2013, and is currently featured in a number of advertising campaigns for the retailer’s products. His face appears in several large billboards across Dubai, promoting clothing ranges. Will this brand association and the support of Splash’s CEO for Khan turn toxic and lead to a public boycott? What’s certain is that the Splash brand will not be helped by the current association with Khan, and the CEO’s stance would appear to be at odds with the opinion of many Splash customers. There is one truth all brands need to bear in mind – the consumer is boss. What matters is not what is important to us as people who manage the brand(s), but rather what is important to them. What do you think of these celebrity endorsements? Are they flying high or are they a damp squib (excuse the puns). Share your thoughts. I’d love to hear from you. Lost in the fog – is Etihad’s social media crisis down to an operational failure? I love challenges. I’m an even bigger fan of crises. They seem to bring out the best in us, pushing us to our limits and testing our abilities. While I admit to enjoying being put through the ringers, I do feel for Etihad’s social media team during a bout of fog at the beginning of January. On the first Saturday of the year, during a peak time of year for travel, think fog descended on the UAE’s capital and closed Abu Dhabi International Airport for just over an hour. The airport’ closure affected Etihad’s scheduling for several days. Before I go further, let me brief you on the airline’s communications outreach. Etihad has a sophisticated social media set-up, including a dedicated Twitter account for Etihad’s customer service, at @EtihadHelp, as well as customer support on Facebook. Etihad’s response time is usually less than 20 minutes, and each and every customer correspondence from the team is signed off by the team member’s initials. The fog literally consumed the social media team however. As people, the one instance that we can all agree on is that we hate anything going wrong when we travel, including travel delays and lost luggage. Stories of delays, including passengers stranded on the tarmac for half a day, without food or information, made headlines globally. Etihad’s social media channels were replete with angry passengers looking for a solution to their problems. Have a look at some of the exchanges below as well as media coverage. A number of thoughts come to mind. While Etihad has a stellar social media operation, how much leverage does the social media have over operations. Or to put it slightly differently, what accountability is there between operations and the social media team. Does the organizational structure, either formal or informal, help or hinder the social media team’s operations on behalf of customers? Etihad is a large organization of just under 15,000 employees; what can the social media team do on the customer’s behalf? I’ll admit, these are special circumstances. Thousands of passengers were either stranded or had their luggage misplaced. However, we now live in a connected world where consumers’ expectations are amplified. While social media can speed up communications with consumers, is social media being set up to fail if operations cannot keep up? What are your thoughts?